Replacement pack of 3 1N4748ADICT-ND 22 volt zener diodes. Uses as D4 and D8 in MSx30 kits, plus an extra for modifications to reduce noise when triggering off the negative terminal of the coil. 3 pack of 1N4753ADICT-ND diodes.MSx30 D6, D20, D21. 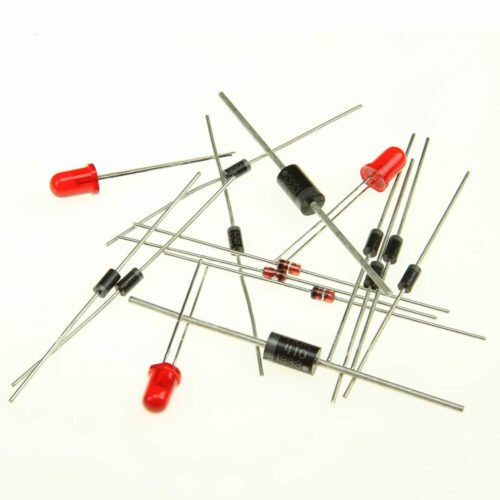 7 pack of replacement 1N4001DICT-ND rectifier diodes.MSx30 kit part number D1, D2, D3, D9, D10, D11.